Elegance can be bold, this bed boats a truly distinctive look that is filled with character and chic appeal. 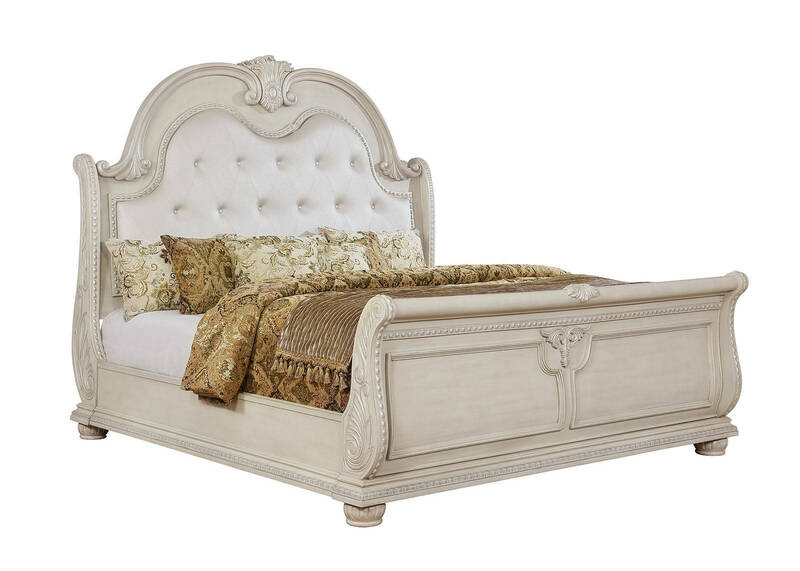 A tall camelback headboard curls with foliage carvings and button tufted upholstery padding is the perfect contrast to the sleigh style footboard. You'll love how this bed feels also like a Grecian palisade in your bedroom.